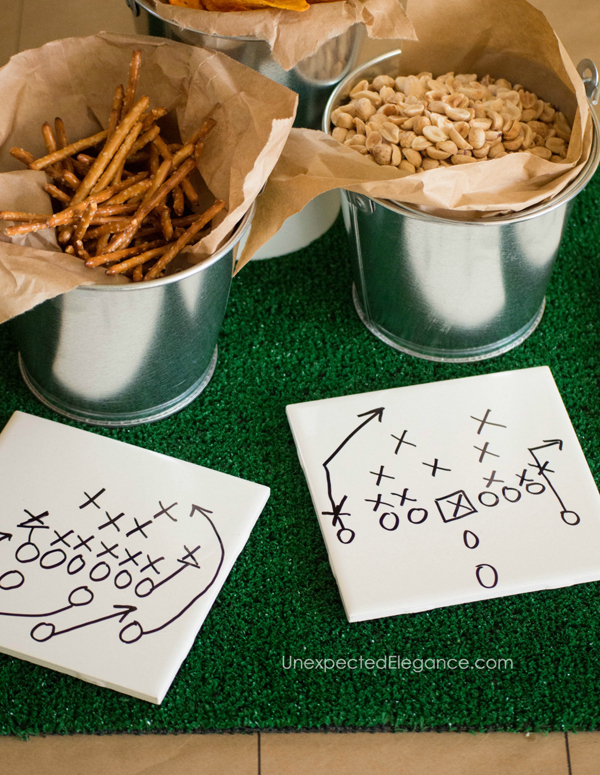 Your Super Bowl decor doesn’t have to be complicated this year! This week I’ve been sharing decor ideas that take less than 10 minutes to complete and today’s craft is the fastest yet. 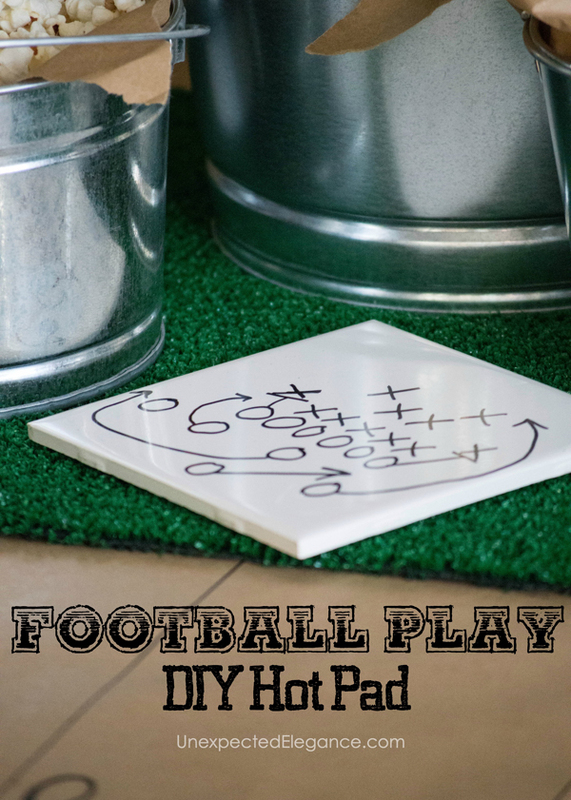 This football play hot pad only takes a few minutes to make and adds a fun element to your Super Bowl food table. 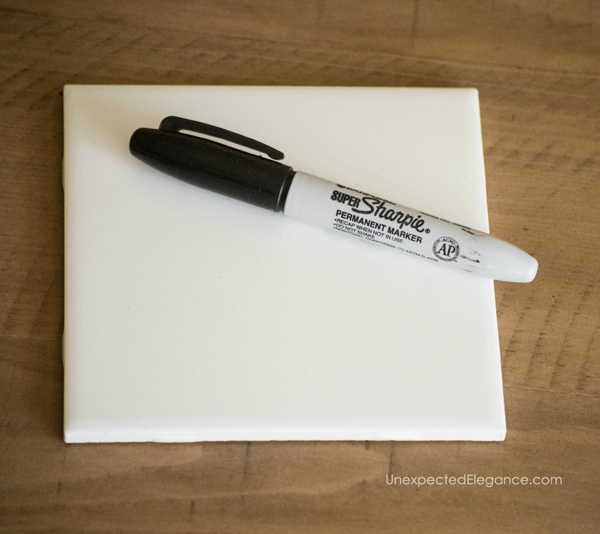 All you need is inexpensive, white ceramic tiles and a black permanent marker. I got these tiles from the hardware store for around 40 cents each. 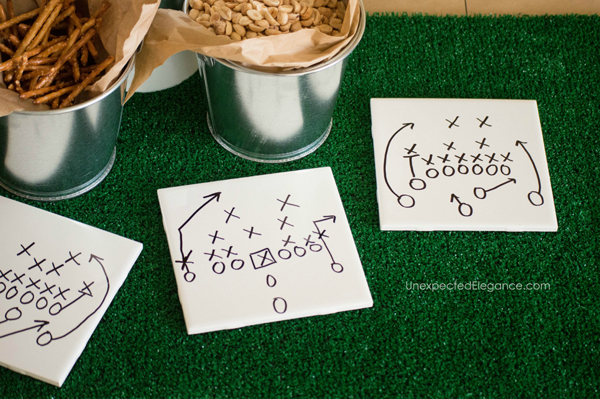 Now you have some themed hot pads and some fun table decor!